Ferraris are fast, beautiful, elegant rides. They are also extraordinary fisherman. Well, Dino Ferrari is. 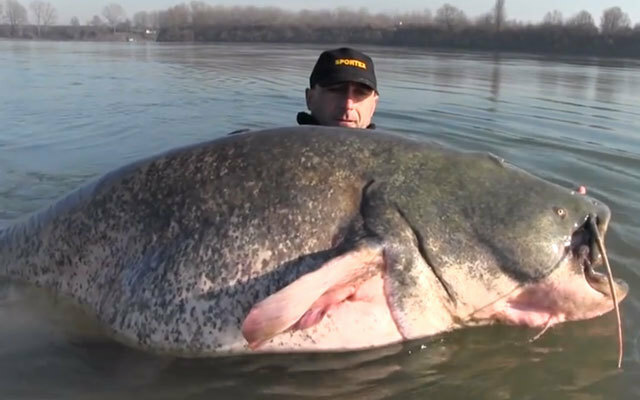 He recently caught a mammoth catfish in Italy’s Po River. Ferrari’s catch tipped the scales at nearly 300-pounds and stretched out more than eight feet. Ferrari released the giant catfish back into the river. Not sure why. He could have fed a small Italian village with his catch.